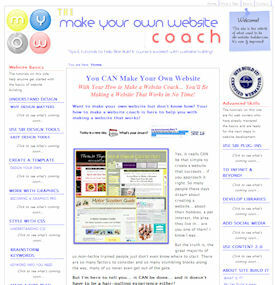 Web Site Homepage - Define Website Purpose - What Is the Topic of Your Website? An effective web site homepage will define website purpose in a clear and logical way. Be sure you define the topic of your website for the best home page. Your content on your website begins with a home page. It's important that your homepage set the tone for your whole site. It introduces you, your topic, your particular slant on that topic and what your web site will contain in the way of content. Not everyone will enter your site through this page, but when they do – or if they end up there by clicking a link from the page they do begin on – you want them to understand what you are all about. This is just website basics. Remember too, that although your web site homepage will need to provide some information about you, it must always be tightly focused on the needs and interests of your target visitors. That pulls them into your site and gets them hungry to learn more of what you have to offer! We'll get into more specifics about having a most wanted response (MWR) on every page of your site, but it's essential that you realize there is always only one MWR on a web site home page... to get your visitor to click through to another part of your site. In that vein, you want to help your visitors find what they were looking for when they arrived at your site. So be sure your web site homepage leads them to various topics on your site. Sometimes you might want to lead them sequentially; other times you might just want to give them a few different choices, based on specific needs they may have. But you don't want to come on too strong. You want your visitors to feel comfortable and trusting as they read through your home page... and you also want to connect with them on some level. Or they WILL click off to the next site in the search listings, believe me! Be honest, sincere and helpful, define your website purpose and the topic of your website and you'll have all the website basics for a homepage covered. The following tutorials will teach you the ins and outs of writing an effective home page for your website. 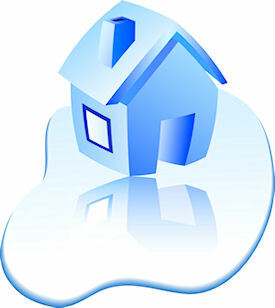 Writing your web site homepage is one of the most important things you will do on your site. It doesn't have to be perfect and you will probably go back and tweak it at some future point, but do take time to write it well and following the guidelines we provide here on this site and in the SBI Action Guide. Your future success will depend upon it!